Are you wondering about the title " Hotel Nurse Job in Dubai ", and feeling that we wrote Hotel instead of Hospital? Absolutely No. This is an amazing opportunity, to apply for the post of Hotel Nurse in a star rated hotel, and enjoy your life with an excellent career. As mentioned in their website, the job responsibilty and job summary of Hotel Nurse are as given below. Hotel Nurse must provide primary medical care for staffs. Hotel Nurse must coordinate with local hospitals in case patients need to be referred to hospital for further assessment and/or treatment. Quite intesreting, isn't it? We will provide you the direct link of this excellent organisation, Star rated hotel, Dusit Thani Dubai. All interested nurses may please apply directly through their website. 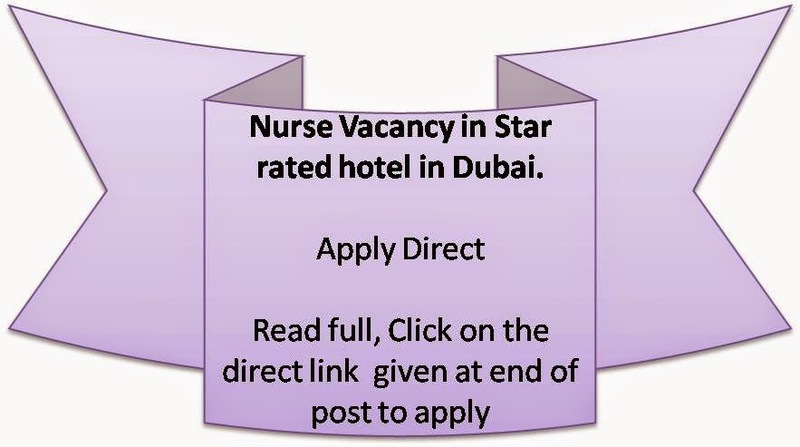 Click here to reach the application and details post of hotel nurse job in dubai.